Total and several partners along the construction value chain have decided to associate to form the Clean Site Circular Project which aims at recycling natural shrink hoods* wastes from the construction sector in closed system without film performances degradation. 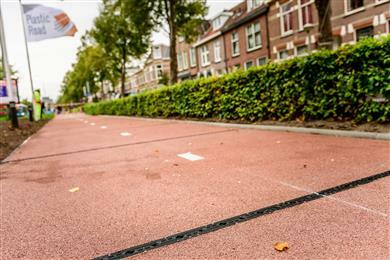 A world premiere in the Netherlands: the first PlasticRoad bike path was recently opened in Zwolle, Overijssel. Inventors of the PlasticRoad, Anne Koudstaal and Simon Jorritsma – together with Member of the Provincial Executive of Overijssel, Bert Boerman and Alderman William Dogger of the municipality of Zwolle, cycled the first bike path made from recycled plastic. The concept was presented three years ago by road construction company KWS (a Royal VolkerWessels company). Wavin and Total joined forces with KWS in 2016 to develop the concept into a product. A second PlasticRoad bike path pilot in Giethoorn, near the pilot location in Zwolle, will be opened in November. As part of the voluntary commitments for the French government’s Circular Economy Roadmap and in line with French and European Union objectives in the area of plastic recycling, Citeo, Total, Saint-Gobain and the French Union of Fresh Dairy Product Manufacturers (Syndifrais) are joining forces to help lay the groundwork for an industrial-scale polystyrene recycling channel in France and to validate its technical and cost feasibility within 18 months. The announcement was made at the World Materials Forum, which is being held in Nancy, France from June 27 to 29. The PlasticRoad, a road made of recycled plastic, becomes a reality. 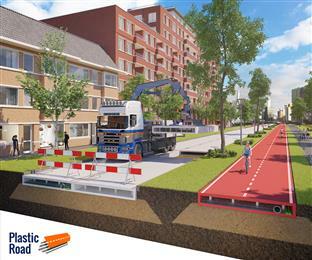 The municipality of Zwolle and the province of Overijssel have committed to the first PlasticRoad pilot project. In September the first PlasticRoad will be constructed in Zwolle and in another location in the province a few months later. The PlasticRoad concept was launched in 2015 by market leader in road construction KWS (a subsidiary of Royal VolkerWessels). In 2016, KWS entered into a partnership with Wavin and Total for further development of the PlasticRoad. 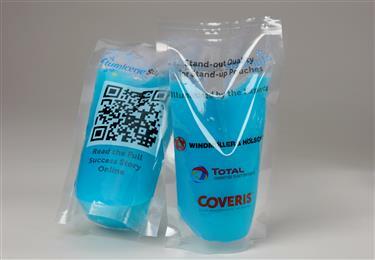 The Polymers Business unit of Total S.A. (“Total”) and Polystyvert, a Montreal-based clean technology startup with an innovative method for polystyrene recycling, today announced the signing of an agreement to work together on the dissolution and purification of household post-consumer polystyrene. 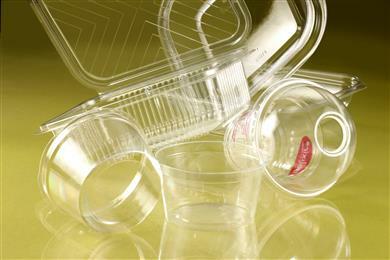 The US Food and Drug Administration has determined that Total’s secondary recycling process at its Antwerp Belgium site for the production of High Density Polyethylene (HDPE) Circular Compounds is effective in reducing contaminants from Post-Consumer Recycled HDPE (PCR-HDPE) material to an extent which allows for its use in food packaging. Brussels, June 14, 2017 - Total has just completed an industrial scale test run, following a series of pilot plant trials, demonstrating the feasibility of sustainable incorporation of about 20% of post-consumer recycled polystyrene within virgin polystyrene. 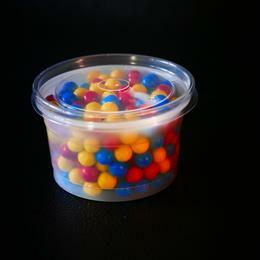 The trial, which was carried out on an existing production asset, successfully led to product with properties equivalent to virgin polymer. 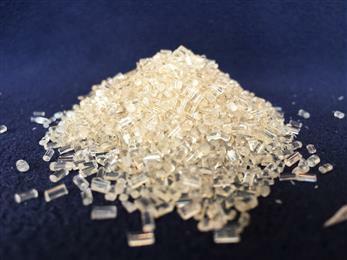 Houston, March 2, 2017 - Total Petrochemicals and Refining USA, Inc. has generated excitement in the sheet extrusion thermoforming (SET) market with the introduction of high density polyethylene grade 9825E. This grade is well suited for shallow draw thermoformed packaging applications in the foodservice and food packaging industries that require high rigidity and toughness. Brussels, February 1, 2017 - Total, Hosokawa Alpine, Coveris and Hayssen Flexible Systems collaborated along the value chain to demonstrate a new 11-layer high performance barrier packaging solution at K 2016. This event, held in late October in Düsseldorf, Germany, is the world’s largest trade show for the international plastics and rubber industry. 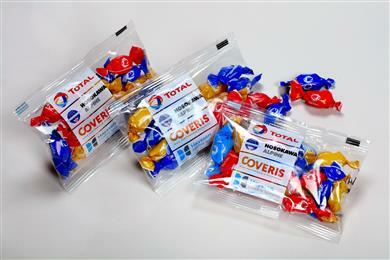 Brussels, February 1, 2017 - Total, Windmöller & Hölscher and Coveris collaborated along the value chain from resin to final product to create a perfect stand-up pouch, which was showcased at K 2016. This event, held in late October in Düsseldorf, Germany, is the world’s largest trade show for the international plastics and rubber industry. Paris, Amsterdam, November 24, 2016 - Total and Corbion are joining forces to develop bioplastics by creating a 50/50 joint venture to produce and market polylactic (PLA) polymers. The two partners plan to build a world-class PLA polymerization plant with a capacity of 75,000 tons per year at Corbion’s site in Thailand that already has a lactide (PLA monomer) production unit that will become part of the joint venture. 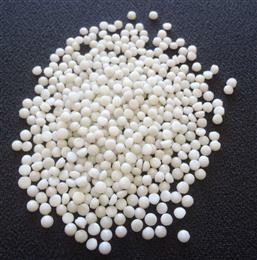 Corbion will supply the lactic acid necessary for the production of the PLA and the lactide. Brussels, October 20, 2016 - The PlasticRoad concept, first introduced in 2015 by KWS, entails recycling plastic waste into lightweight modules with hollow interiors that can be fitted with cables and plastic pipes and allow excess water to drain. The pre-fabricated units will be easy to transport, assemble and maintain, and the lighter weight means the ground will be less prone to subsidence. The objective is to create a road with a smaller ecological footprint than traditional road systems. When the elements reach their end of life expectancy they can be recycled again, contributing to a circular economy and cleaner environment.